As the new year in digital shapes up to be the year of data driven content, self-serve advertising, employee advocacy, and peer influence, marketers need to upgrade themselves and develop the necessary skills to leverage the various channels and technologies at their disposal. To remain relevant in 2018, these are the skills Asia’s marketing leaders identify as the most important to master. When it comes to marketing, buzzwords and technical jargon are aplenty. In today’s digital age, it is now a necessity for a marketer to understand the myriad of digital touchpoints and concepts, i.e. mobile, re-marketing, social media, influencer marketing…the list goes on. But more than that, to be ahead of the pack, one needs to go back to the fundamentals. A lot of marketers forget that it’s ultimately about the consumer. Ask yourselves, is your message meaningful? Are your mechanics easily comprehensible? When it comes to designing a campaign, is there a story and a deeper purpose? Is the entire customer journey sensible? Is your choice of distribution the most relevant? Some often forget that traditional channels can still be effective, especially when coupled with digital channels, especially in Southeast Asia. Marketers need to be consumer centric, considerate, and thoughtful – and that’s really going to separate the men from the boys and the women from the girls. The ability to actively listen, while vital to social media marketing, is a concept that many marketers have yet to fully grasp. Social media allows us to develop and foster closer relationships with our customers, and it is the first time in marketing history that we can do this to scale. Thus, it’s a massive waste when many marketers treat social as just another broadcast channel, like a billboard on Facebook or Instagram to just shout about new promos. When you listen to your consumers, you can learn a lot of things like what their current needs are, and their perception of your brand. Information like this can significantly influence the way you plan your new content in order to steer your understanding of one another into a better place. Listening also allows you to act on immediate events – a complaint can be addressed quickly, some praise can be rewarded promptly. Even if the immediate effects are minor, it shows that your brand cares and that goes a long way towards nurturing brand loyalty. 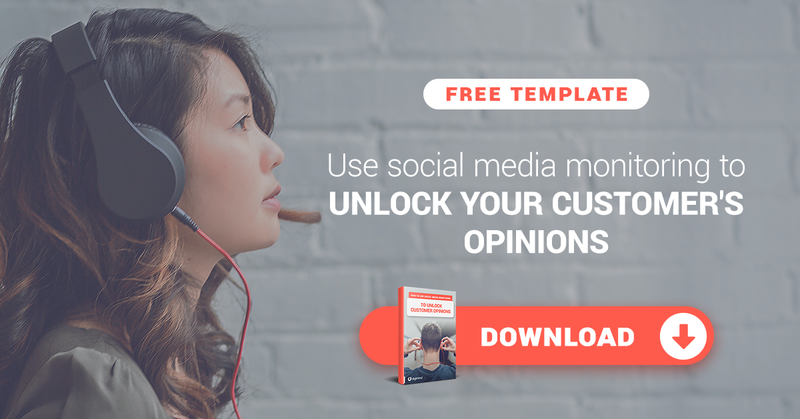 With lots of tools available to help social listening, there’s really no excuse to continue treating your social channels like a digital soapbox. To be able to communicate with customers through channels that are most relevant to them. The mediums of communication as we know it, have changed. They range from broadcast media used to reach millions of people at a time, to targeted digital advertisements that are customised to an individual’s specific interests. As marketers, we need to be able to effectively communicate and connect with our customers wherever they are and whatever (media) they consume. What marketers need to focus on in 2018, is something that’s going to help them remain relevant beyond 2018, and not just for this year. We’re too obsessed with channel thinking. Marketers need to get out of that. There’s no such thing as “Twitter isn’t working for me” or “LinkedIn isn’t working for me”. You need to stop looking at channel performance, and look at audience performance instead. Each channel plays a role in your marketing ecosystem, and Instagram probably isn’t going to be a high conversion channel for you, search is, but that doesn’t mean Instagram isn’t working for you. Look at the various marketing touch-points that are part of a consumer’s journey, and see which ones are playing a role in the entire customer conversion journey. Understanding the role each channel plays, and making your content and communications play to those strengths – that’s going to be key. Marketers drop channels too fast because they don’t see instant returns. We need to stop doing that. Bonus: Stay relevant in 2018 with real-time insights from social media! Find out how. I’m a marketer by day and a writer and content creator by night. At Digimind, I oversee content and events for the Asia Pacific market. AMA about social media! Why Do Businesses Listen To and Analyze Social Media?